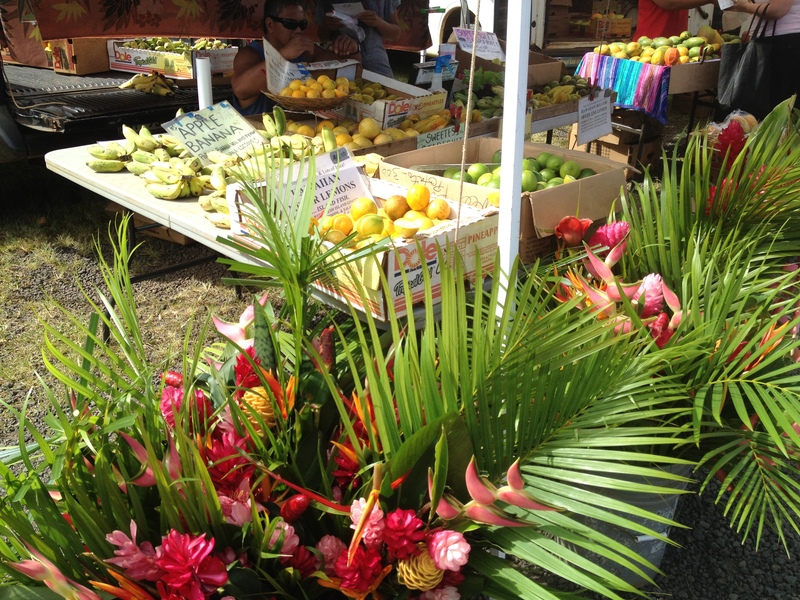 September 22…my first birthday celebration on the island! It started with Tai Chi at the Hanalei Pavilion Beach Park, overlooking the ocean at Hanalei Bay. Serenely beautiful and uplifting. 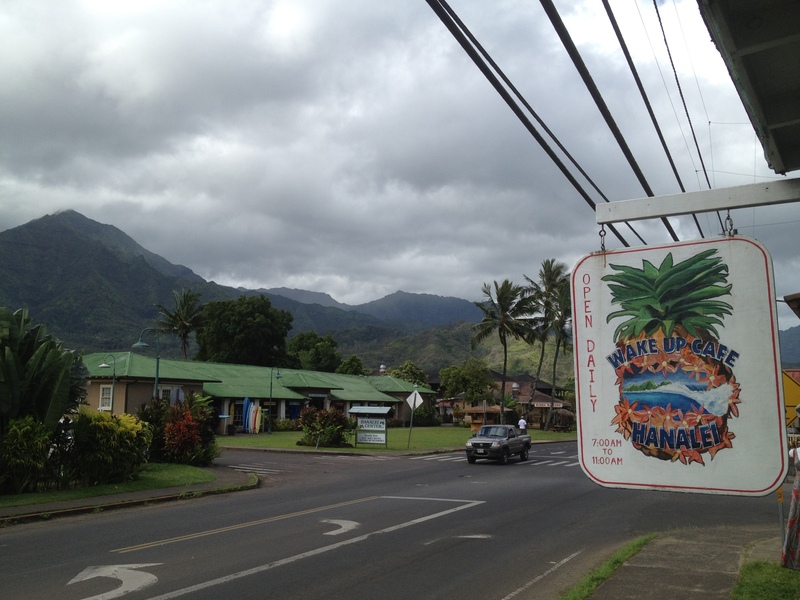 …and then brunchfast at the Hanalei Wake Up Cafe – love their excellent omelettes and bottomless coffee mugs. 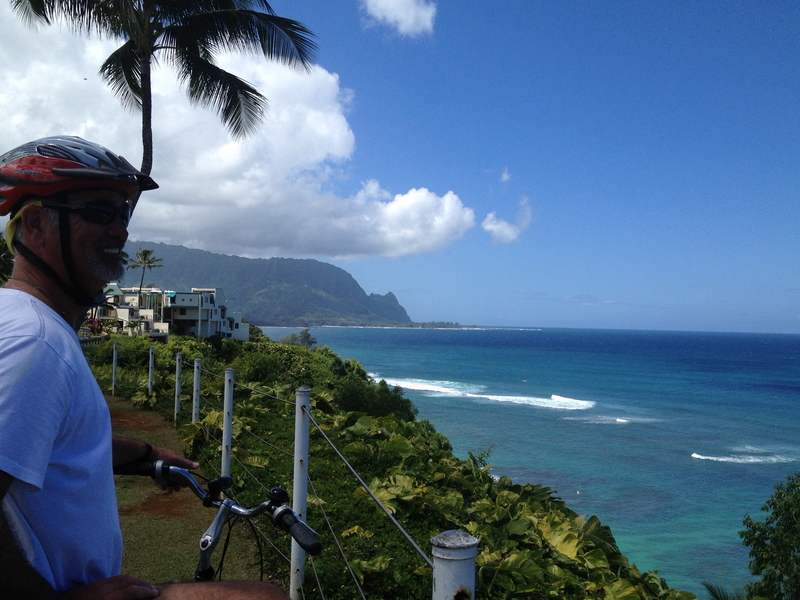 Later in the morning, Steve and I took a bike ride around Princeville, with a couple of stops…one at the St. Regis, and another at the Westin (to check out the venue for the evening event). We planned the route so that we’d end with a gentle coast downhill to the house. Yes, I know Princeville is pretty damn flat, but neither of us have had the bikes out for a good run since we moved, so the legs were feeling a tad pathetic. 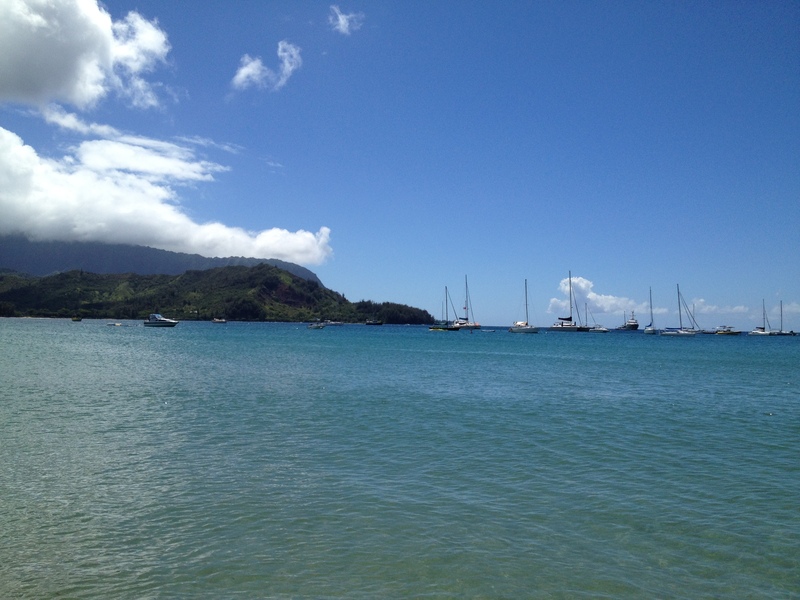 Mid-afternoon, I got a call from the tennis club (Hanalei Bay Resort) saying a friend was looking to hit for a while. Perfect timing! Steve’s been closely following the Fedex Cup, and particularly this final weekend, so I left him in front of the box and got a good one-and-a-half hours workout with a wiry, canny, player whom I first met on my visits last year and thoroughly enjoy playing. Sadly, he’ll be returning to his other home in Thailand in October…a common phenomenon on this island where many folks split their year between two or more homes. I returned with just enough time for a much needed shower before Steve and I left for my ‘birthday party’. By pure fluke (perhaps less so since this year it fell on a Saturday), my birthday coincided with the Westin’s Jazz and Wine Festival. 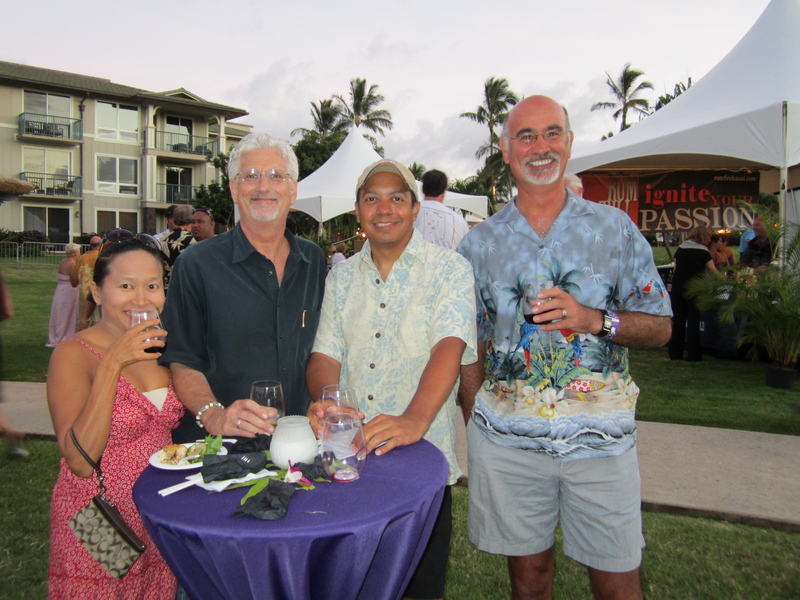 It was a celebration of and by the various restaurants around the island, together with suitable wine pairings, and some excellent jazz musicians. 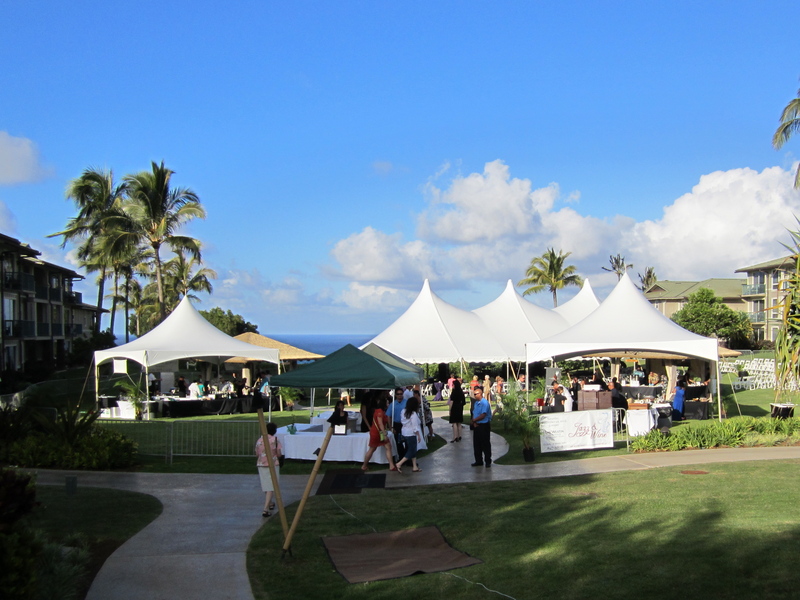 Proceeds from the silent auction went to the Kauai Lifeguards Association, who perform a necessary and unenviable role here, given the number of visitors who are unaware of the hidden dangers at many of the beaches. We spent the evening in the company of a number of interesting and amusing folks, enjoying the entertainment, food, and beverages…the latter so much so that we were pleased we’d had the foresight to ride our bikes instead of relying on four wheels. Darn it! Why is it that the camera isn’t readily available at the most inviting moments? !